Add the milo, coconut and condensed milk, applesauce, oats and mix until it’s well combined. Put in the freezer for 1hour makes it easier to roll. 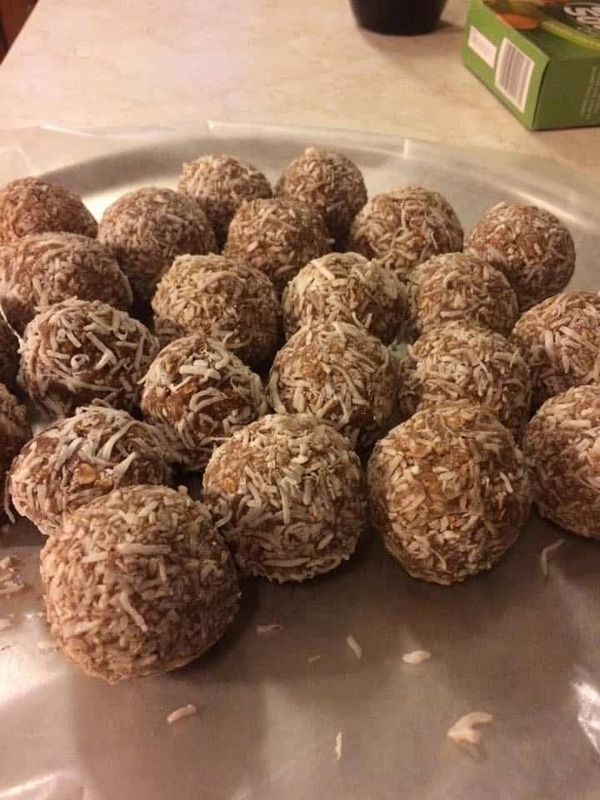 Roll teaspoon full into balls with your hand and then roll in coconut to coat. Refrigerate for 30 minutes or until firm. I like it better in the freezer. Toni’s comment: My husband loved them and I made the adjustments in the recipe.